A yearly research report published by the Educator’s School Safety Network that aggregates and analyzes data pertaining to threats and incidents of violence in U.S. schools. A yearly research report published by the Educator’s School Safety Network that aggregates and analyzes data pertaining to school-based violent incidents and threats. Letter from then Secretary of Education John B. King Jr.
An advisement to schools and universities regarding the role of school resource officers. Education-based training for staff who will be using visitor entry systems or screening visitors to school buildings. Additional resources and materials related to topics discussed in Chapter 1. American Association of School Administrators. (2010, May 18). School budgets 101. Jones, J. M. (Ed.). (2017, August 17). Parental fear about school safety back to pre-Newtown level. Maslow, A. H. (1943). A theory of human motivation. Psychological Review, 50(4): 370–396. McGurk, H., & Hurry, J. (1995). Project Charlie: An evaluation of a life skills drug education programme for primary students. London: Drugs Prevention Initiative. New York Police Department Counterterrorism Bureau. (2011, January 20). Active shooter: Recommendations and analysis for risk mitigation. NY: Author. Prevention Institute. (n.d.).Violence and learning [Fact sheet]. Oakland, CA: Author. Schlecty, P. (2005). Creating great schools: Six critical systems at the heart of educational innovation. San Francisco: Jossey-Bass. Sherwood, B. (2009). The survivors club: The secrets and science that could save your life. New York: Grand Central Publishing. Soergel, A. (2017, September 8). 5 things to know about the economy this week. U.S. News and World Report. Stephens, R. D. (n.d.). Director’s message. National School Safety Center (website). U.S. Department of Education. (2016). Obama administration releases resources for schools and college to ensure appropriate use of school resource officers and campus police [Press release]. Washington, DC: Author. Checklist-What Makes a Good Vulnerability Assessment? A comprehensive, education-based vulnerability assessment is an important starting point for improving school safety. Use this checklist to assist in planning and to determine whether your school has assessed the most critical components. Education-based training for threat assessment team members that combines content instruction, implementation strategies, and logistical concerns. Download the tip sheet and reproduce as needed. Strategies and suggestions for creating and implementing appropriate supports and intervention related to the management of individuals of concern. In July of 2018, the U.S. Secret Service and Department of Homeland Security’s National Threat Assessment Center released a school-specific guide to threat assessment. This publication, as well as the summary brief that accompanies it, provides the foundational underpinnings of threat assessment and management. Additional resources and materials related to topics discussed in Chapter 2. Goodrum, S., & Woodward, W. (2016, January). Report on the Arapahoe High School shooting: Lessons learned on information sharing, threat assessment, and systems integrity. Boulder, CO: University of Colorado Boulder. U.S. Department of Education, Office of Elementary and Secondary Education, Office of Safe and Healthy Students. (2013). Guide for developing high-quality school emergency operations plans. Washington, DC: Authors. Vossekuil, B., Fein, R., Reddy, M., Borum, R., & Modzeleski, W. (2002). The final report and findings of the Safe School Initiative: Implications for the prevention of school attacks in the United States. Washington, DC: U.S. Secret Service and U.S. Department of Education. Guide for Developing High-Quality School Emergency Operations Plans. A planning guide designed for educational leaders to assist in creating, implementing, and evaluating a comprehensive, all-hazards emergency operations plan. 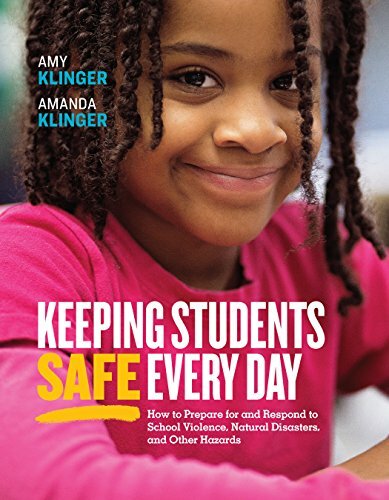 Making Sense of the “Guide for Developing High-Quality School Emergency Operations Plans"
According to the Office of Safe and Healthy Schools, an updated version of this guide for K-12 schools will be published soon. Once this update has occurred, this planning guide will be revised and made available. Download the matrix and reproduce as needed. What vulnerabilities and threats does your school face? This worksheet is for use in planning, vulnerability assessments, and professional development. What Does ICS Look Like in Schools? Download the graphic and reproduce as needed. A graphical representation that applies incident command to a typical school or district’s organizational structure. A PDF of the incident command structure referenced in the chapter. This guide provides a brief summary and description of the components recommended by FEMA as important elements in an effective emergency management plan. A detailed description of the components of comprehensive, all-hazards emergency operation and management plans for use at building and district levels. A collection of suggestions, samples, and links for strategies and activities to support emergency planning. Additional and updated resources and materials related to topics discussed in Chapter 3. Brock, S. E., Nickerson, A. B., Reeves, M. A., Jimerson, S. R., Lieberman, R. A., & Feinberg, T. A. (2009). School crisis prevention and intervention. Bethesda, MD: National Association of School Psychologists. Brymer, M., Jacobs. A., Layne, C., Pynoos, R., Ruzek. J., Steinberg, A., et al. (2006). Psychological first aid: Field operations guide (2nd ed.). Rockville, MD: National Child Traumatic Stress Network and National Center for PTSD. Dorn, M., & Dorn, C. (2005). Innocent targets: When terrorism comes to school. Macon, GA: Safe Havens International. Federal Emergency Management Agency (FEMA). (2010, November). Developing and Maintaining Emergency Operations Plans: Comprehensive Preparedness Guide (CPG 101, Version 2.0). Washington, DC: Government Printing Office. Federal Emergency Management Agency (FEMA). (2011, March). Sample school emergency operations plan E/L361 and G364: Multihazard emergency planning for schools. Washington, DC: Government Printing Office. A glossary of suggested crisis-management terms for use in developing a common vocabulary related to school safety. Download the inventory and reproduce as needed. School safety procedures and training should empower educators, not intimidate them. Use this inventory to reflect on whether the safety policies, procedures, and training in your school empowers or intimidates. Additional resources and materials related to topics discussed in Chapter 4. Blair, J. P., Martaindale, M. H., & Nichols, T. (2014, January). Active shooter events from 2000 to 2012. FBI Law Enforcement Bulletin. Cowan, D., & Kuenster, J. (1996). To sleep with the angels: The story of a fire. Chicago: Ivan R. Dee. Reports from mass-casualty and school shooting incidents, including the shootings at Columbine High School, Virginia Tech, and Sandy Hook Elementary. A review of effective strategies for violence prevention in schools; includes related materials, links, and suggestions for implementation. Download the classroom sign and reproduce as needed. A PDF graphic outlining leveled lockdown that can be used as a classroom sign or professional development handout. Self-Assessment - Is Our Response Effective? Download the self-assessment and reproduce as needed. Are your school's protocols for active shooter response and lockdown up to date and in compliance with best practices? This self-assessment checklist will help you to assess the effectiveness of a school’s procedures in these critical areas. Education-based training on lockdown enhancements and active shooter response. Additional resources and materials related to topics discussed in chapter 5. Blair, J. P., & Schweit, K. W. (2014). A study of active shooter incidents, 2000–2013. Washington, DC: Texas State University and Federal Bureau of Investigation, U.S. Department of Justice. Dorn, M. (2015, January). Active shooter training under fire again. School Safety Monthly, 4–6. Dorn, M. (2015, May 13). ALICE training injury lawsuit filed by school employee [blog post]. McFarland, J., Hussar, B., de Brey, C., Snyder, T., Wang, X., Wilkinson-Flicker, S., et al. (2017). The condition of education 2017 (NCES 2017- 144). Washington, DC: U.S. Department of Education, National Center for Education Statistics. Office of Emergency Communications. (2010, June). Plain language frequently asked questions (FAQs). Washington, DC: Department of Homeland Security. Sedensky, S. J. (2013). Report of the state’s attorney for the judicial district of Danbury on the shootings at Sandy Hook Elementary School and 36 Yogananda Street, Newtown, Connecticut on December 14, 2012. Danbury, CT: Office of the State’s Attorney. Zhang, A., Musu-Gillette, L., & Oudekerk, B.A. (2016). Indicators of school crime and safety: 2015 (NCES 2016-079/NCJ 249758). Washington, DC: National Center for Education Statistics, U.S. Department of Education; and Bureau of Justice Statistics, Office of Justice Programs, U.S. Department of Justice. Education-based training on planning for and managing crisis response outside of traditional school hours. A self-assessment checklist to critically evaluate the effectiveness of a school’s after-hours crisis response capabilities. A planning guide designed for educational leaders to assist in creating, implementing, and evaluating effective crisis response procedures outside of traditional school hours. An annual research report published by the Educator’s School Safety Network that aggregates and analyzes data pertaining to school-based bomb threats and incidents. Education-based training on planning for and responding to bomb incidents, including threats, suspicious items, and detonations. Additional resources and materials related to topics discussed in Chapter 6. Bureau of Alcohol, Tobacco, Firearms and Explosives. (2003). Bomb threat response: An interactive planning tool for schools [CD-ROM]. Washington, DC: Bureau of Alcohol, Tobacco, Firearms and Explosives, U.S. Department of the Treasury; and the Safe and Drug-Free Schools Program, U.S. Department of Education. Green, E. (2017, August 8). The JCC bomb-threat suspect had a client. The Atlantic. Newman, G. R. (2011, August). Bomb threats in schools (Publication No. 32). Albany, NY: Center for Problem-Oriented Policing. Samples and tips for creating emergency communication templates. A checklist with suggestions for ensuring that all staff members have active, updated family emergency plans. Samples and templates for creating family emergency plans. Additional resources and materials related to topics discussed in chapter 7. A planning guide designed for educational leaders to assist in creating, implementing, and evaluating a continuity of operations plan. A link to downloadable materials for parent reunification from the “I Love U Guys” Foundation. Education-based training on the facility, staffing, accountability, and logistical concerns involved in planning and implementing parent reunification. Information on the National Association of School Psychologists’ PREPaRE Model for crisis intervention and recovery. Supplemental bibliography and links for other related resources--Additional resources and materials related to topics discussed in chapter 8. Brock, S., Nickerson, A., Louvar Reeves, M., Conolly, C., Jimerson, S., Pesce, R., & Lazzaro, B. (2016). School crisis prevention and intervention: The PREPaRE model (2nd ed.). Bethesda, MD: National Association of School Psychologists. National Institute of Mental Health (NIMH). (2001). Mental health and mass violence: Evidence-based early psychological intervention for victims/survivors of mass violence. A workshop to reach consensus on best practices. Washington, DC: U.S. Government Printing Office. Save the Children. (2013). Unaccounted for: A national report card on protecting children in disasters. Washington, DC: Author.